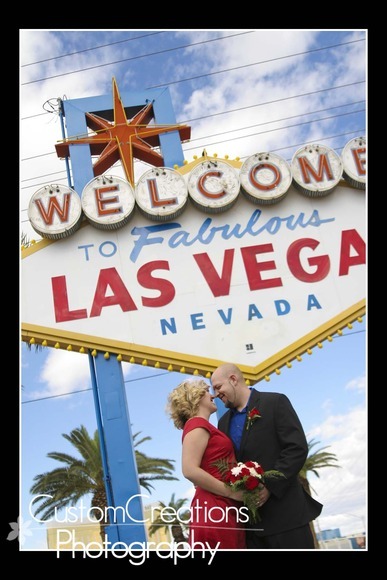 Christine & Tyrone’s VEGAS Wedding!! What a fantastic trip I had! Christine and Tyrone were married at the Wedding Bells Wedding Chapel in Vegas on Monday night during a candlelight ceremony! The weather was absolutely perfect and so was their wedding!!! Following the wedding we had a fantastic dinner at Stacks in the Mirage Hotel. On Tuesday we walked the strip for an amazing Day-After shoot!! We stayed at the Hard Rock Hotel which was fantastic! All in all it was an absolutely wonderful wedding to be a part of!!! They were surrounded by their very closest family and friends and it was so intimate and beautiful!! Here is a fun little sneak peek for you!!! Enjoy! You can also view the images in my Facebook Album . Posted in Uncategorized | Comments Off on Christine & Tyrone’s VEGAS Wedding! !